With the calendar turning to August, it’s officially the silly season in American politics. On the Republican side, a loudmouthed, self-promoting, angry anti-politician is leading in the polls, and 10 of 17 declared presidential candidates will crowd onto the stage to have a “debate” on Thursday. And on the Democratic side, politicos and pundits are talking seriously about drafting Joe Biden to throw his hat in the ring. Wait a second . . . Joe Biden? 72-year-old, two-time also-ran, vice president Joe Biden? Evidently so. There’s apparently concern in some Democratic quarters about Hillary Clinton being damaged goods. Her trustworthiness numbers aren’t good — whether it is because of her State Department email server fiasco, or because everything she does and says seems so carefully scripted and calibrated, or for some other reason — and she hasn’t exactly been lighting it up on the campaign trail. In fact, there seems to be a lot more excitement about Vermont Senator Bernie Sanders, a socialist who has been drawing big crowds in the early decision states. So while Hillary has raised tons of money and signed up legions of heavyweight staffers and fundraisers, people are beginning to wonder whether her nomination is as inevitable and certain as, say, Ed Muskie in 1972. But if you think Hillary Clinton may not be the best candidate to carry the Democratic banner, where do you turn? America isn’t likely to elect a 70-something socialist, and former Maryland governor Martin O’Malley doesn’t exactly have people buzzing. Most of the leading Democratic politicians on the national scene don’t seem especially keen to take on the Clinton political machine. That leaves good old Joe. He’s been on the national Democratic scene forever, he’s a known commodity, and although he’s been a gaffe machine in his prior races he’s one of those pols who seems to love being on the campaign trail — whereas Hillary Clinton seems to consider it to be a painful hassle. 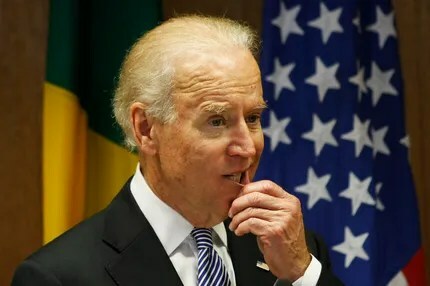 I have no idea whether Joe Biden will end up running — he’s just lost his son to cancer, but once the presidential bug bites it’s hard to shake the obsessive lure of the Oval Office. What’s more interesting to me is that the national Democratic bench seems so shallow — and, with the exception of O’Malley, so long in the tooth. Why aren’t the party bigwigs talking about Democratic governors (other than California’s Jerry Brown, who is 77), or Senators like Ohio’s Sherrod Brown? Why aren’t more up-and-coming Ds willing to risk a long-shot run, like Bill Clinton did in 1992? This November Ohioans will be electing a U.S. Senator. We’ll be choosing between incumbent Sherrod Brown, a Democrat, and Republican Josh Mandel. 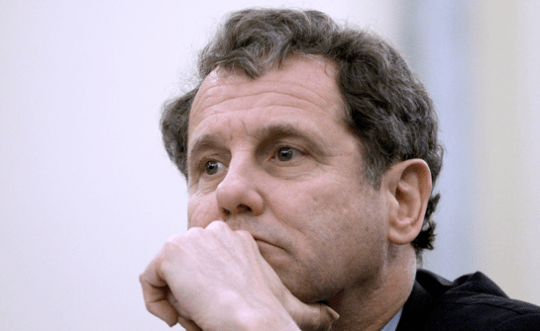 Sherrod Brown is a prototype Democrat. He is a forceful advocate for labor unions, and strongly supported the government bailout of GM and Chrysler — but ardently opposes bailouts of banks and touts an “end too big to fail” petition that seeks to break up the big banks. Brown has a decidedly liberal voting record and is a reliable supporter of President Obama’s legislative agenda. He’s been a figure on the Ohio political scene for years and he possesses the magical Brown name, which has given Ohio politicians a leg up on their opponents since the dawn of time. Josh Mandel, in contrast, is a relative newcomer. He’s 34, but looks younger. Mandel is a former Marine who served two tours in Iraq, is a strong proponent of cutting federal spending and balancing the federal budget, and is the darling of many conservative pundits. He was elected to the Ohio House of Representatives in 2006 and currently serves as the state’s Treasurer — although he’s criticized for not doing much in that position while focusing on running for the Senate. It’s an election that will present some sharp contrasts of liberal versus conservative and experience versus youth. With Republicans trying to regain control of the Senate, the race has attracted enormous attention and buckets of money from outside the state, which means we’re already seeing lots of negative ads about both candidates. The early polls show Brown in the lead. The Brown-Mandel match-up is another instance in which Ohio — as is so often the case — may be a bellwether state. Come Election Night, the results of this contest should tell us a lot about the direction in which the country is heading. I’m on Ohio Senator Sherrod Brown’s email list. Lately, his emails have focused on the Disclose Act, legislation being pushed by Senate Democrats that would require non-profit groups to disclose the identity of their donors. The bill is a response of sorts to the Supreme Court’s Citizens United decision, which struck down limits on independent spending by corporations and unions. Senator Brown’s most recent email, sent Saturday afternoon, says that such special interest money is having a “distorting effect” on elections and that the “flood” of money is “is threatening to wash away the voice of America’s middle class.” (Of course, because we don’t know the identity of the donors to these groups, we obviously don’t know for sure whether those donors are members of the middle class or not.) Not surprisingly, Senator Brown views all of this through the lens of his own experience; if you read his emails, they all discuss, in great detail, how much groups opposing his reelection are spending on that race. What’s of interest to me is not the merits of Citizens United, or the merits of campaign finance reform generally. Instead, I find it curious that the Senate seems capable of debating and acting on issues like the DISCLOSE Act, but not on the issues that are of real import to Americans given our current predicament — like passing a budget, or dealing with our debt problems, or figuring out how to get our economy out of the doldrums in which it has been mired for four years. Why is the DISCLOSE Act more worthy of the attention of the Senate than legislation that addresses our ongoing economic problems? Because political spending affects Senators, of course, and therefore legislation that addresses political spending must necessarily be their top priority. It’s a good example of how the interests of Senators vary from the interests of their constituents. If you asked Americans — middle class or otherwise — what topics the Senate should be focused on these days, how far down the priority list do you think you would need to go before your reached Citizens United and campaign finance reform?